Rinsing dinner plates. Helping your children understand decimals and fractions. Cooking a pot roast for a homebound neighbor. Slogging away at the office computer from 9-5 every day. Do you ever feel as though the tasks are unending? Are you on auto-pilot? Is there a sense that your contributions to this world are unnoticed and worthless in the grand scheme of things? Saint Josemaria Escriva will upend and uplift your perspective on daily life, all the while staying right in the life you have right now. Josemaria was a bright, hard-working little boy with a sunny disposition. His home life was bustling and joyful, with five siblings and happy, faithful Catholic parents. His life shifted suddenly when his three sisters all died at a young age and his family, suffering financial hardship from the father's job less, needed to move to a different town in Spain to find work. Interactions with discalced Carmelites in his new town attuned him to the voice of God asking him in his heart what sacrifices he could make. Despite his suffering, he maintained the buoyant attitude and industriousness which had made him successful as a young boy, and he applied these gifts to his studies in the seminary and in law school. 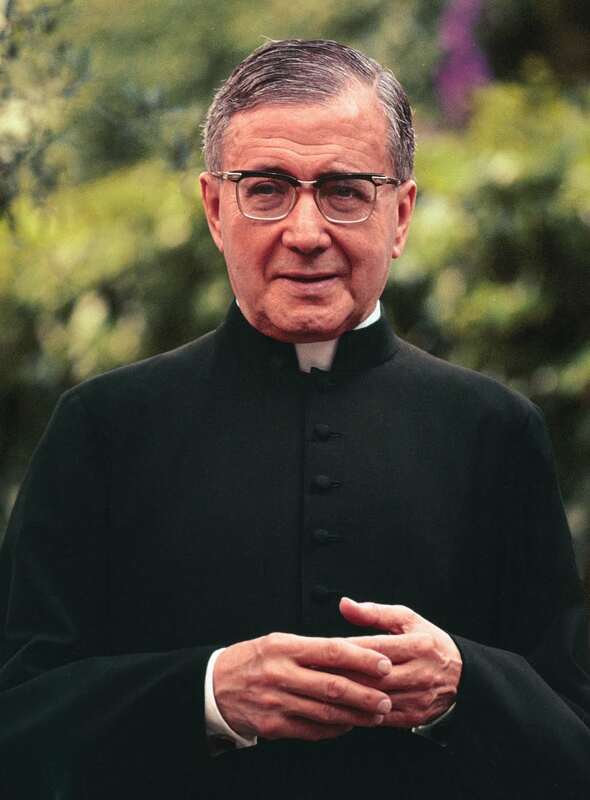 As he walked his path to heaven, Josemaria felt the Lord strongly directing him toward encouraging sanctity in everyone, in his or her own state in life. Like another modern saint, St. Teresa of Calcutta, who advocated 'Doing small things with great love,' Fr. Escriva also promoted the perspective that each one of us, regardless of our vocation, can devote our daily duties and sufferings to God, and that is each person's conduit to holiness. We can't get to heaven by following the path laid out for someone else; we must walk – no, embrace! – the path put before us by the Lord. 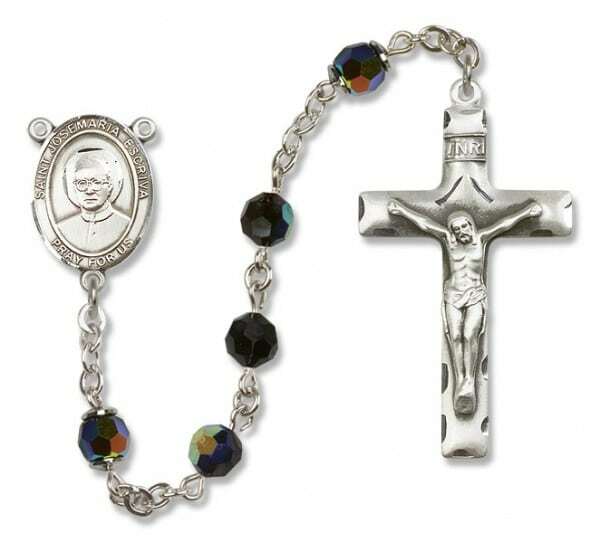 In a dedicated effort to promote this newfound ministry, Josemaria Escriva began an organization for laity and priests formally entitled Personal Prelature of the Holy Cross but commonly known as Opus Dei (Latin for 'Work of God'). The mission of Opus Dei was the same in 1928 as it is today: to establish Christian values in the secular world. It means working like Jesus Christ – working hard and well, honestly, and fairly, in order to love and serve God and other people. People who do that are making their work holy and helping to sanctify the world from the inside. They are making the Gospel present in all their activities, whether brilliant or humble and hidden. In God’s eyes, what matters is the love people put into their work, not its success in terms of money or fame. St. Josemaria Escriva, like all of our beloved saints, is an exemplar of many of the virtues we aim to perfect in our own lives. A model of joyfulness, determination, vision, and faith, he embodied the true gladness that comes from living the Gospel. St. Josemaria nurtured his own interior life by spending a tremendous amount of time with the Blessed Sacrament and sought the guidance from our Lord in those precious hours. Despite a life filled with painful loss and many roadblocks in his way, our saint persevered through his own shortcomings in following the path he had discerned was his path to heaven. Notable leaders must have clear vision, and as founder and leader of this worldwide spiritual organization, St. Josemaria exercised his charisma and energy for God's glory, building this movement one person at a time. How Can You Sanctify Your Life? 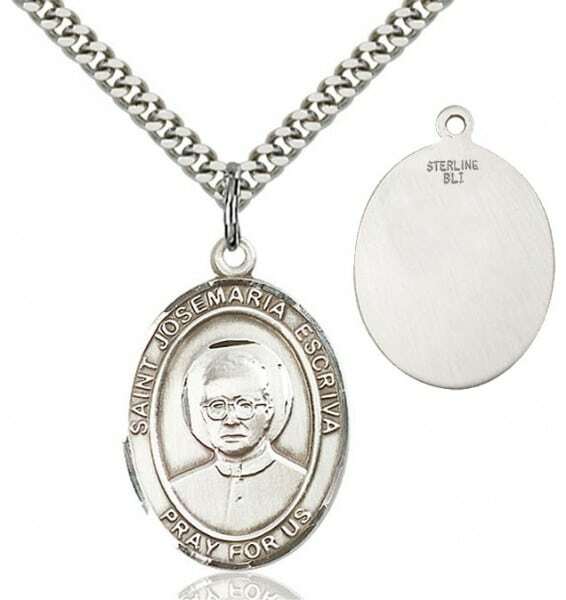 St. Josemaria and Opus Dei have one goal: to help you become a saint. Not through missionary trips halfway across the world. Not through massive charitable donations and selling the clothes off your children's backs. Not through quitting your day job to become a hermit. He calls you to unite your interior life with your secular life, to break down the wall between your daily tasks and your prayer life. There is an appealing practicality to this approach. Many busy mothers, for example, bemoan the fact that caring for many small children leaves little time to go on retreats, to spend time at Adoration, to attend prayer groups at their parishes. But sensible St. Josemaria would encourage (as his was a ministry of encouragement, to quote an Opus Dei priest, Rev. Msgr. Peter Elliott) those hardworking women to find God in their kitchens, in their neighborhood nature walks with their little ones, in their gardening. God does not require us to abandon our work or our families to find Him; rather, we find Him in the MIDST of work and family. St. Paul exhorts us to 'Pray without ceasing,' and St. Josemaria offers us a way to pragmatically find a way to do just that as we fulfill our quotidian tasks. Comment on this post by sharing with others your seemingly mundane tasks that turn into moments of holiness. Is it when you garden, wash the dishes, walk the dog? Seek Him in the simplest of things! Gena Ortega is a cradle Catholic who experienced a fresh infusion of zeal for the Faith as an adult. She is a married homeschooling mother of three treasures and enjoys a wide array of interests, from writing/editing to lactation counseling, the French language to novice sewing and gardening (she is trying unsuccessfully to convert her brown thumb to a green thumb). Like you, she is finding her path to Heaven.